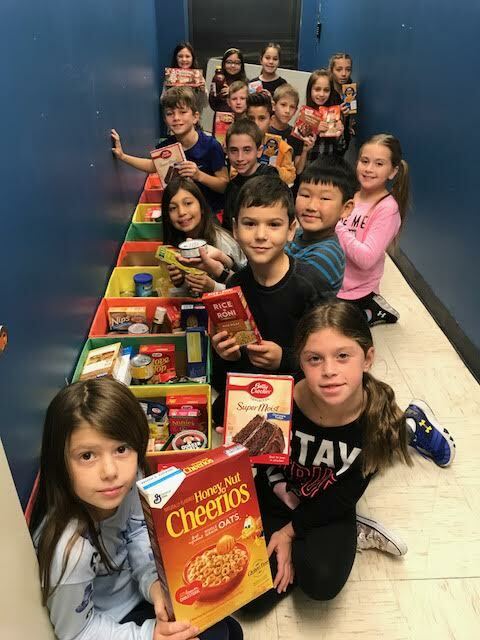 In keeping with the Bellmore School District’s emphasis on leadership principles and core values, members of Shore Road School’s Random Acts of Kindness club and fifth-grade student council collaborated on a schoolwide campaign to help stock the pantries of homes around the Bellmore community this Thanksgiving holiday. Under the direction of advisers Christine Davison and Jennifer Luccenta, respectively, the students collected nonperishable food items from Oct. 31 through Nov. 14, which will be donated to local families and the Bellmore-Merrick Central High School District Community Pantry. In addition, members of Winthrop Avenue School’s student council came together to pack boxes of food to give to local families in need this Thanksgiving. 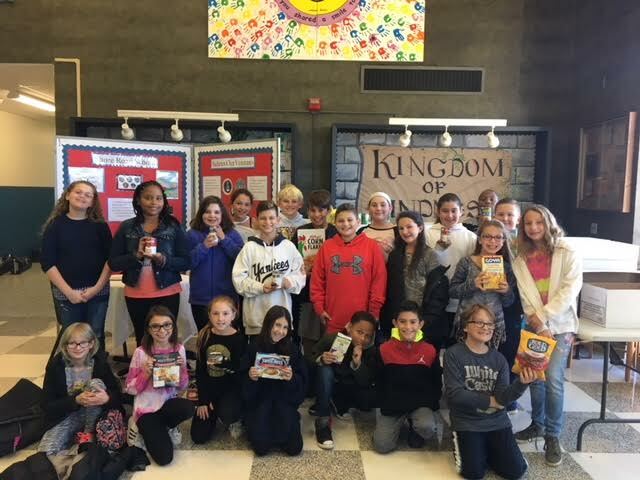 A: Shore Road School’s RAK Pack and student council collected food for local families in need and for the Bellmore-Merrick Central High School District Community Pantry. B: Winthrop Avenue School’s student council packed boxes of food for families in need this Thanksgiving.